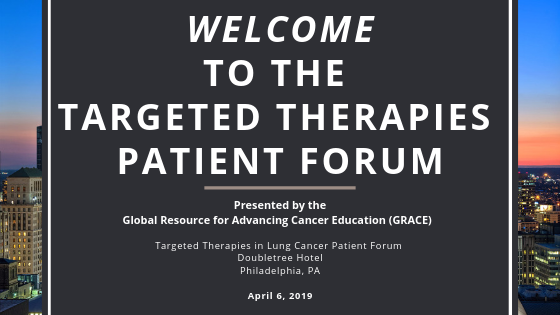 Two of GRACE's earliest followers, Laya Dogmetchi and Jim Celebucki, talk about how the Global Resource for Advancing Cancer Education helps cancer patients and their families make informed decisions about their care. Buddy Scalera is a podcaster and Senior Director of Content Strategy in Global Health Science at the Medicines Company, and has been a member of the GRACE board of directors since 2011. GRACE joined a number of top faculty in the area of hematology in Whistler BC, for the 3rd Annual Summit on Hematologic Malignancies. Read more about Blood Cancers Video Library: CLL and Non Hodgkin Lymphoma: Should all Hodgkin’s Lymphoma patients be treated the same? Read more about Blood Cancers Video Library: Are Vaccines Dead in Lymphoma and CLL? Read more about Blood Cancers Video Library: FCR vs BR – Is One Better? We recently joined a number of top faculty in the area of hematology in Whistler BC, for the 3rd Annual Summit on Hematologic Malignancies. Read more about Blood Cancer Video Library - What Is The Significance Of IGHV Mutations And How Are They Assessed? I’m going to speak to you today about lung cancer risk factors.